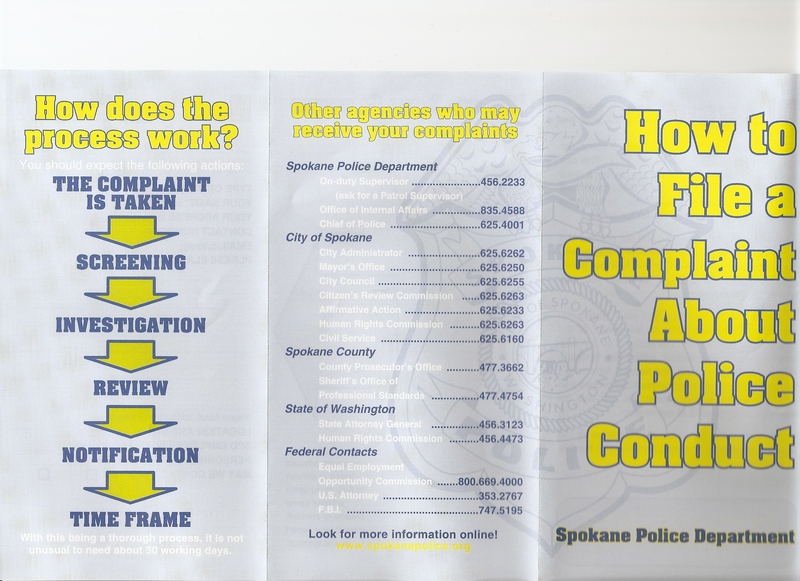 The first two are police internal affairs forms described by Spokane Police Internal Affairs Sgt. Jim Faddis as “unnecessary”. They were obtained from by me from Sgt. Faddis and a colleague at the Police Internal Affairs Office located at the time in the Monroe Court Building in downtown Spokane. 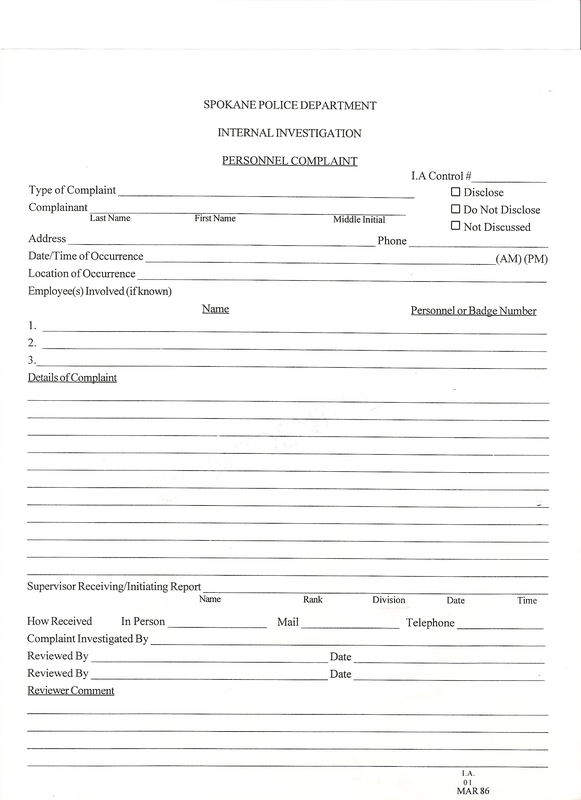 Faddis had initially refused to provide the documents but when I told him that I would simply file a public disclosure request and then sue if they were not released, he hand them to me. 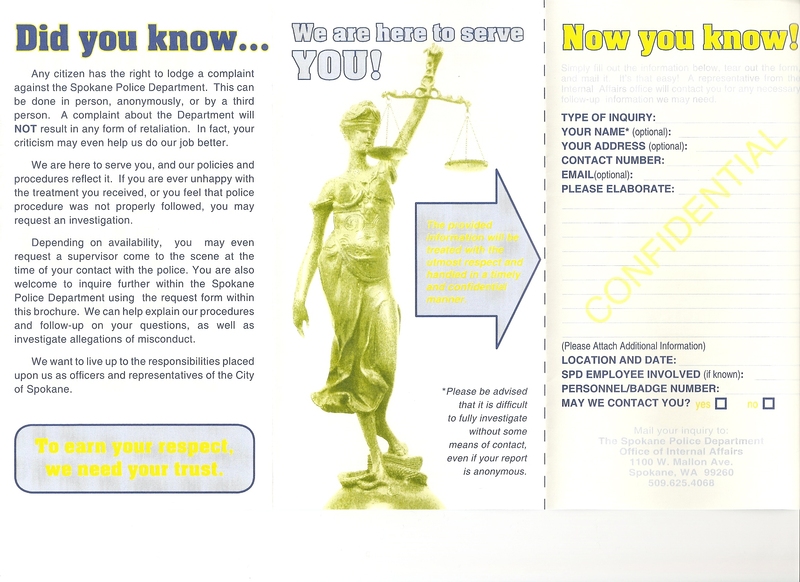 The second two are the front and back of a form that SPD reluctantly developed in a couple years ago after persistent demands from the community. 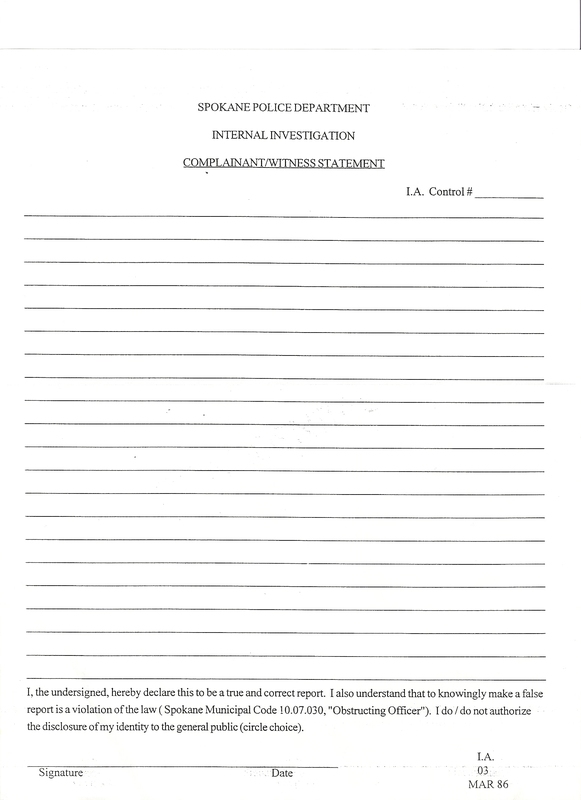 This entry was posted on March 11, 2008 at 5:31 pm	and is filed under History of SPD Abuses. You can follow any responses to this entry through the RSS 2.0 feed. You can leave a response, or trackback from your own site.